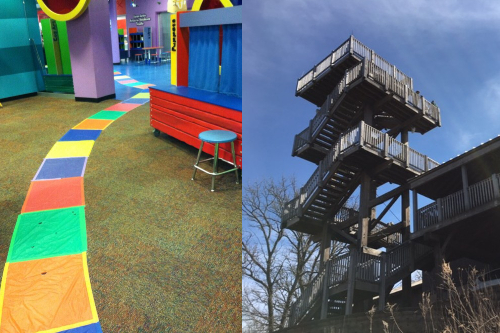 Enjoy exciting family-friendly events this February in Omaha! Looking for FREE Fun this February? 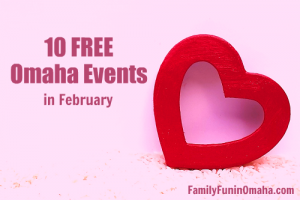 See Many FREE February Events in Omaha here! 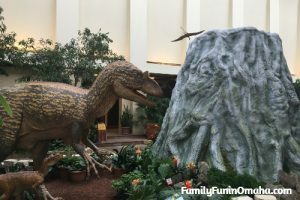 Experience Dinosaur UpROAR, full of life-sized dinosaurs, fossil displays, a scavenger hunt, and interactive family activities! 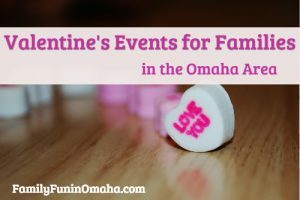 Enjoy many family-friendly Valentine’s Day-themed events and activities in Omaha! Enjoy Family Dances and special events for Valentine’s Day in Omaha! Some require advance registration and may fill up. Come get a “bird’s eye” view of fine-feathered friends as you join volunteers for a live songbird banding at Hitchcock Nature Center. All ages are welcome to attend this live demonstration. 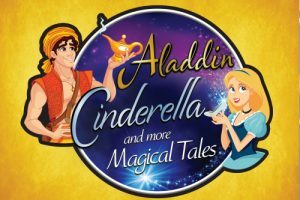 Celebrate magical music that tells timeless tales, including songs from Aladdin, Beauty and the Beast, and selections from Prokofiev’s Cinderella. Location: Holland Performing Arts Center, 1200 Douglas St., Omaha, NE. The expo is a collaboration of the University of Nebraska-Lincoln, University of Nebraska at Omaha and includes CEENBoT Showcase, First LEGO League, and a Creative Visual Arts Expo featuring robotic-themed art made by students. The event is included with museum admission. Location: 28210 W. Park Hwy., Ashland, NE. Join in a WeBop® Family Jazz Party with Omaha Performing Arts! These interactive sessions explore jazz music through song, dance and play. They’re also the perfect way to see what Omaha Performing Arts’ WeBop® classes are all about. Open to children 8 months to 8 years of age and their parents, grandparents or guardians. The party is free to attend, but does not include admission into the museum. Tickets are required and can be found here. In this completely sweet night of fun, children can travel through a life-size Candy Land game, finding the sweetest activities and treats throughout the first floor of the museum. Candy Land Night is included with regular museum admission or membership. All children must be accompanied by an adult, and adults need to pay admission. 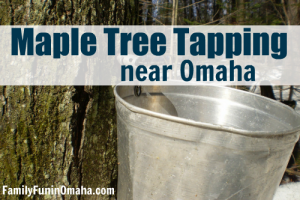 Have you tried Maple Tree Tapping? Discover the process and enjoy a sweet taste at these fun upcoming events near Omaha! We went last year and loved the experience especially learning where maple syrup comes from and tasting the sap. Advanced reservations required. Sign up early as many of these events fill up quickly.